Make a card appear or change behind a window! 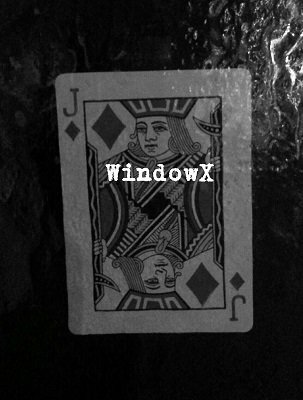 With WindowX you can make a card appear or change a card behind a window. You also can change the card in a sealed plastic bag that is attached and in full view behind the window. The spectator can remove the card or the bag himself (in most situations). The gimmick is very easy to make. You can use many (but not all) windows. The trick is perfect to present in your living room or at a party with a little set up.